There will be an encore presentation on May 17, 2018, at the Southern Alberta Art Gallery in Lethbridge. MONOGRAPH is pleased to present Amanda Dawn Christie's first feature length film, Spectres of Shortwave / Ombres des ondes courtes. This event is for invited guests, admission is by donation (pay what you can). 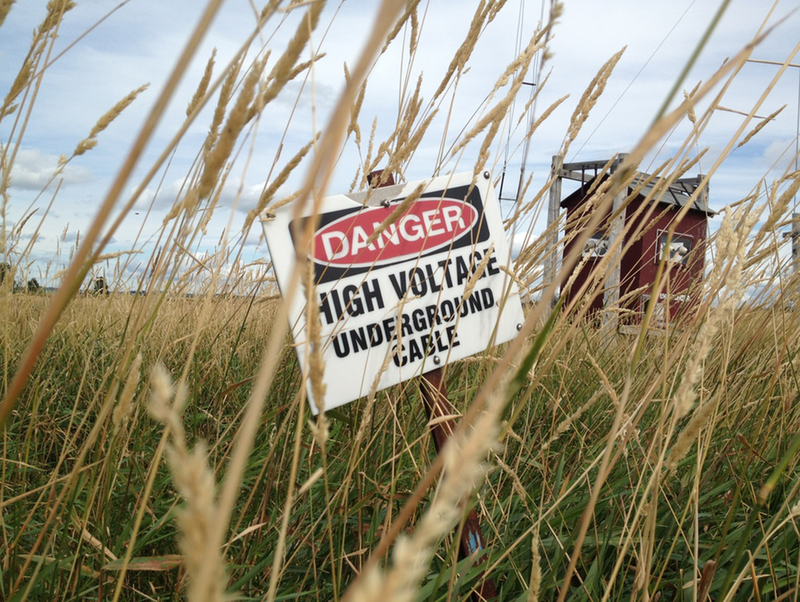 A mysterious web of international shortwave radio towers once dominated the Tantramar marsh. Meanwhile, local residents heard radio broadcasts emanate unexpectedly from their household appliances. 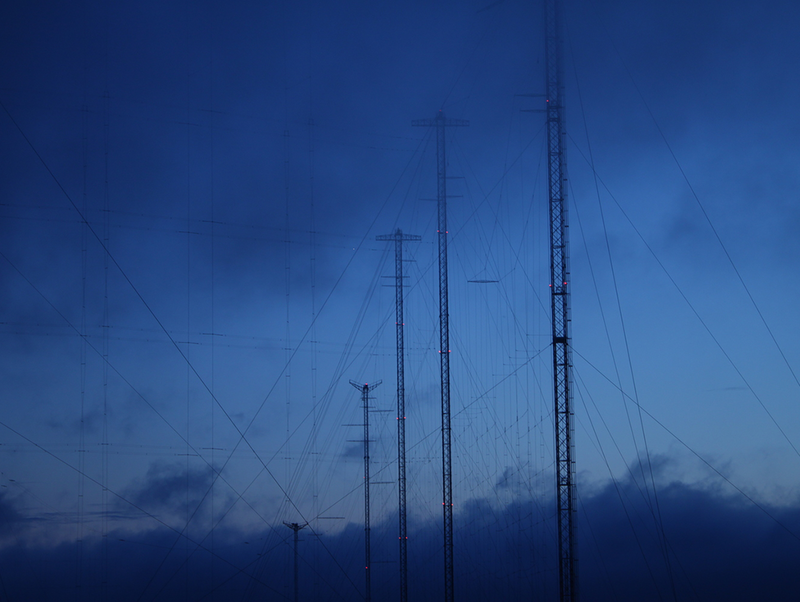 The Radio Canada International shortwave relay site was built during World War 2, to broadcast to Europe and Africa. It continued to broadcast around the world during the Cold War, not only for Canada, but also relaying transmissions for Radio Free Europe. Located in Sackville, New Brunswick, it was perfectly positioned to transmit across the Atlantic Ocean, and covered most of the globe with its transmissions. This experimental documentary film focuses on the flat marshland landscape accompanied by stories told by local residents and the technicians who worked at the site. 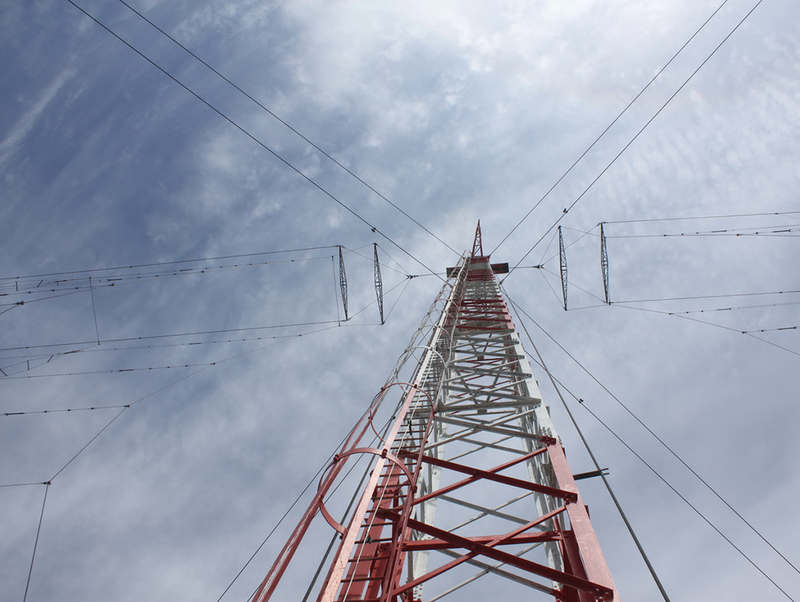 After beginning this project, the Canadian government announced that the Radio Canada International shortwave relay site would be shut down and dismantled. As such, a final chapter was added to the film, which documents the dismantling of this historic structure. Screenings of this film are accompanied by a radio simulcast, so that while viewers watch the film on a big screen in one part of the world, listeners can hear the sound track over radio waves in another part of the world. Since 1999 Amanda Dawn Christie has created dozens of experimental films, videos, expanded cinema performances, and installations, that have been presented around the world. She works with 35mm, 16mm, and super 8 film as well as analogue video, digital media, photography, installation art, sound art, electronics, and performance. Her work not only spans across these mediums but also brings them together in ways that blur the boundaries of where one discipline ends and the next begins. Christie has exhibited and performed in art galleries across Canada, and her films have screened internationally from Cannes to Korea to San Fransisco and beyond. She was the 2014 Atlantic finalist for the National Media Art prize, and recently had a 10 year retrospective exhibition of her work, called Land Lost, curated by Mireille Bourgeois, at the Galerie d’art Louise et Reuben Cohen. She was also included in the Marion McCain Biennale of Atlantic Contemporary Art, called Writing Topography, curated by Corinna Ghaznavi. Her films are distributed by the CFMDC (Canadian Filmmakers Distribution Centre) in Canada, the Dutchfilmbank in Amseterdam, and Lightcone in Paris. MONOGRAPH would like to thank our partner organizations EMMEDIA Gallery and Production Society, the Southern Alberta Art Gallery and the Lethbridge Independent Film Society for making this presentation possible.